We were playing around with a new service, MOG (“…the next-generation music subscription service that delivers the highest audio fidelity: 320 kbps.”), on Sonos and found a new Kate Bush album! Woah. 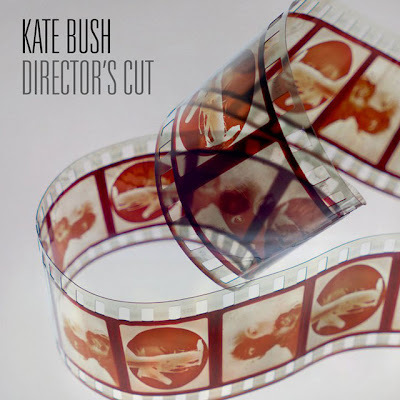 The new album is called Director’s Cut (2011) and features four tracks from The Sensual World (1989) and seven from The Red Shoes (1993) – re-recorded. The Red Shoes tracks seem more interesting in their re-recorded versions than we ever remember them on Red Shoes – which admittedly was our least favorite Bush album. The big story on The Director’s Cut is that the song Flower of the Mountain (a re-titling of the track The Sensual World) now uses the original text from James Joyce’s Ulysses, which was apparently Bush’s original intent but the estate of Joyce didn’t agree to let her use the text back in the late 1980s. Now they have. The lyrics for Flower of the Mountain come from the end of the novel, in the section called Molly Bloom’s soliloquy. The exception is what we’ll call the chorus part “Stepping out of the page, into the sensual world. Stepping out.” which is the listener’s response to the text. The text from Molly Bloom’s stream of consciousness is shown below with bolded text being what Bush uses in the Flower of the Mountain. As folks who didn’t really care much for the Joyce we’ve read – okay one book is not a good sample - this is really quite a bit of analysis on our part, isn’t it? If only Kate Bush would write more songs based on Joyce’s work, it just might persuade us to read more Joyce.